If you're a student, apprentice or 18-21 years old then you're in the right place! 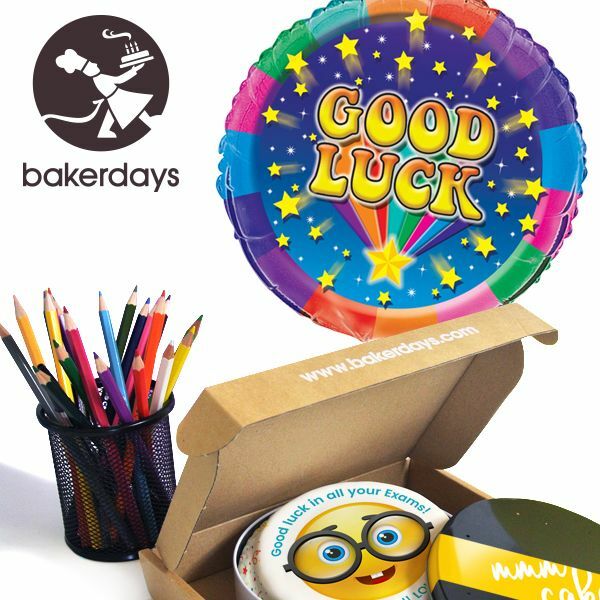 Create your very own unique and customised cakes, boxes of cupcakes or helium balloons at bakerdays. Their website makes it simple to choose a design, size and delicious recipe, and then personalise it with your own photos and a special message. They use the most advanced printing technology and premium quality cake ingredients to ensure the highest standard of product for all of their customers. They even offer gluten and wheat free and dairy free options so that everyone can enjoy a slice. Combined with their strong and secure packaging; your cakes, cupcakes and balloons will arrive safely and on time. Creating your very own tailor-made cake has never been easier with bakerdays. What’s more, order before 2pm on a weekday and they can deliver direct to your door the very next day*. Weekend and worldwide delivery options are also available, so you can post a cake to almost anyone, anywhere, anytime...cakes by post; it’s the future! So whatever the occasion; whether it’s a Birthday, Anniversary, Mother’s Day, Christmas or just to say Thank You, bakerdays has a personalised cake for you.